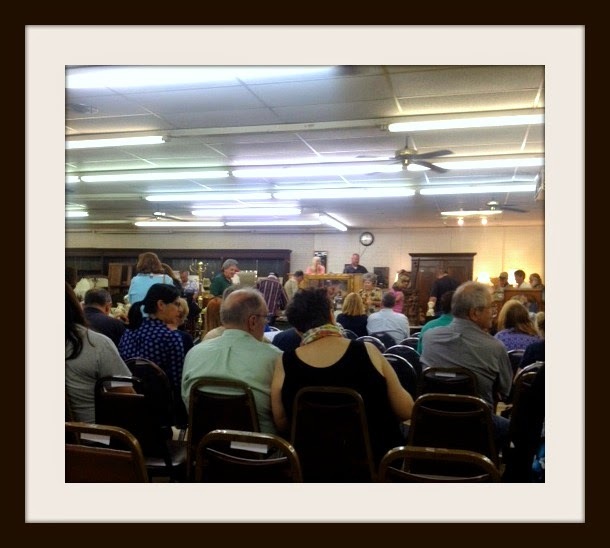 This past weekend, I went to my first auction ever. My friend, Theresa, and her husband have been going to auctions lately to aquire cool stuff for their soon to open brewery in Richardson, Texas called 4 Bullets. When she told me about it last week, I immediately interrupted her and begged her to let me tag along to the next one. As it turned out there was one in just a few days, and altho her husband couldn't go, I could! It was in a weird little area of town, and had there not been so many cars heading into the parking lot, I wouldn't have known I was in the right place. 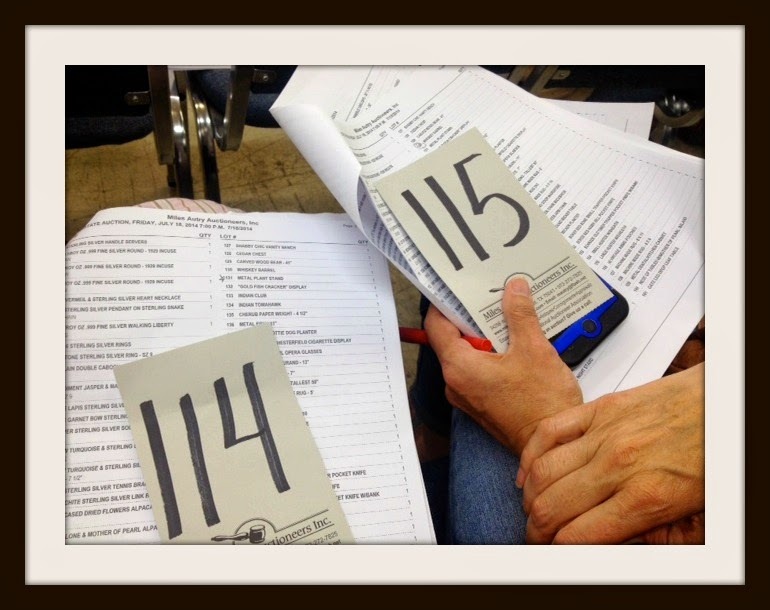 We checked in at the front, got out little bidding cards, and then looked at all the items that would be auctioned off that night. There was loads of stuff. It was a little overwhelming. So many items, and very fast talking! Sometimes they'd hold up multiple items- I never knew if we were bidding on one, or all or what. With my luck, I would've thought I bought a chair for $100, but really, I bought all ten items at $100 each. It was a little confusing, but I think I figured it out as the night went on. I didn't come home with a thing tho. But Theresa got 2 vintage wicker chairs for $5 a piece. That was the best deal of the night I think. Anyway, we've got another one coming up soon. And this time, I'm totally ready. I can't believe I haven't posted anything here in 2 weeks! Well, since today is Monday, that means it's MUSIC MONDAY! While I was taking care of my neighbors pool last week (and by taking care of it, I mean floating around in a raft and reading- very hard work!) this awesome song kept popping up on Pandora. It sounded instantly familiar from the second I heard it. Certain songs that are so good are just like that, aren't they? I'm not a big Beyonce fan, but oh, how I love this song. And it makes me wonder, why am I not a huge Beyonce fan? Wait! I think I am! Happy Monday- Hope someone is putting your love on TOP! 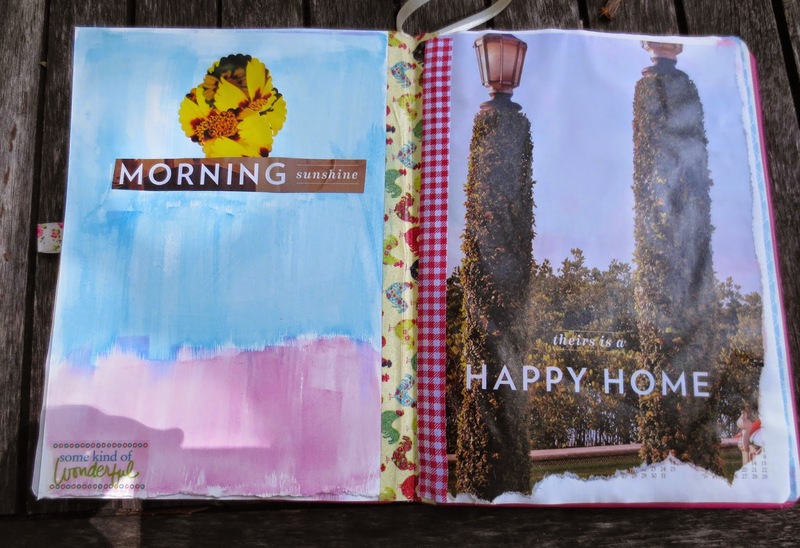 Like I mentioned in my previous post, I've just started an Art Journal. So, I thought I'd show my humble beginnings with my first art journal. 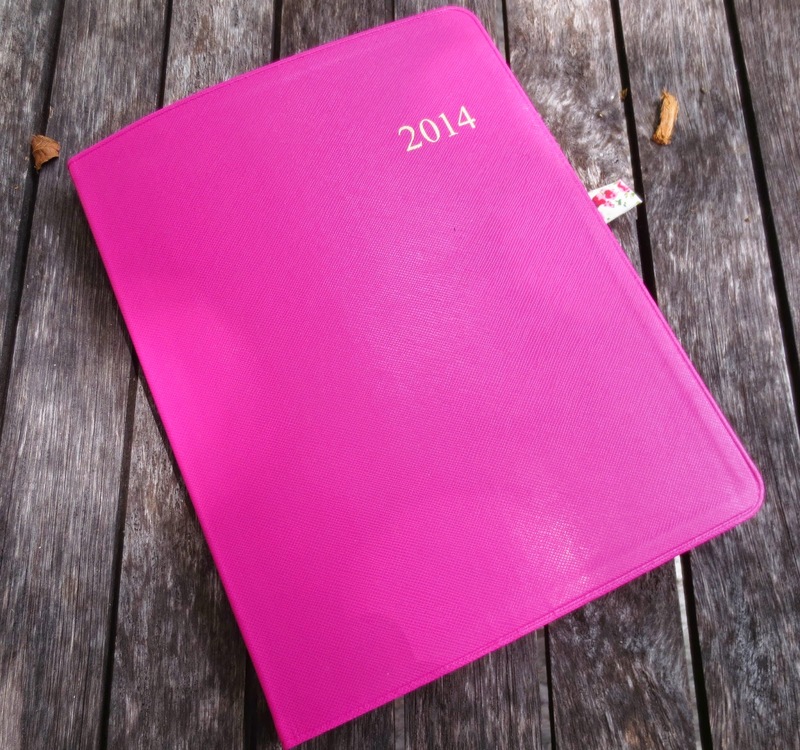 I ordered this datebook from Amazon. I hoped to find one that began in mid-year, but hey!!! NOTHING'S GOING TO STOP ME! 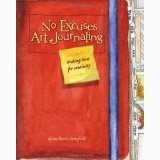 The book that inspired this creative endeavor is called "No Excuses Art Journal" after all! So I started right in the middle of the book with July 1. 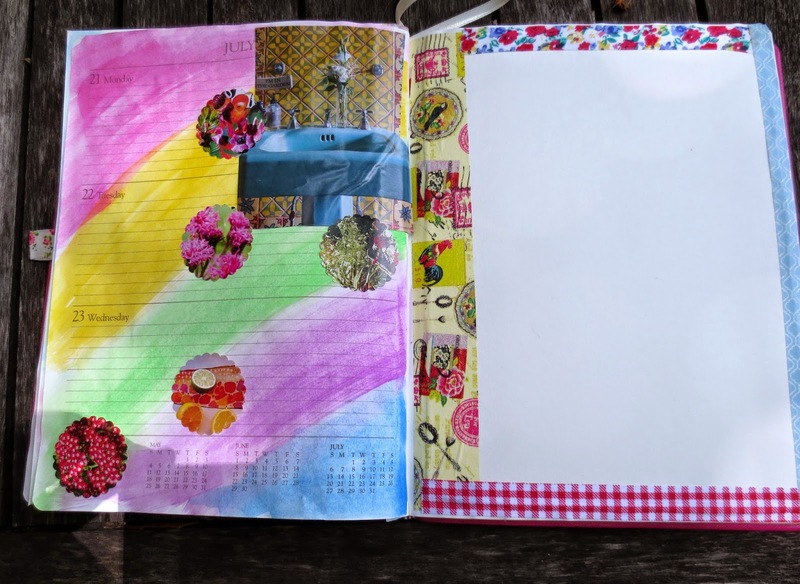 The first week of July is beginning to fill up in my art journal! As you can see, I've done some cutting and pasting. The old fashioned kind. And a little painting with watercolors. So much fun! If one day I only have a minute, totally enough. If another day I have and hour, super duper! 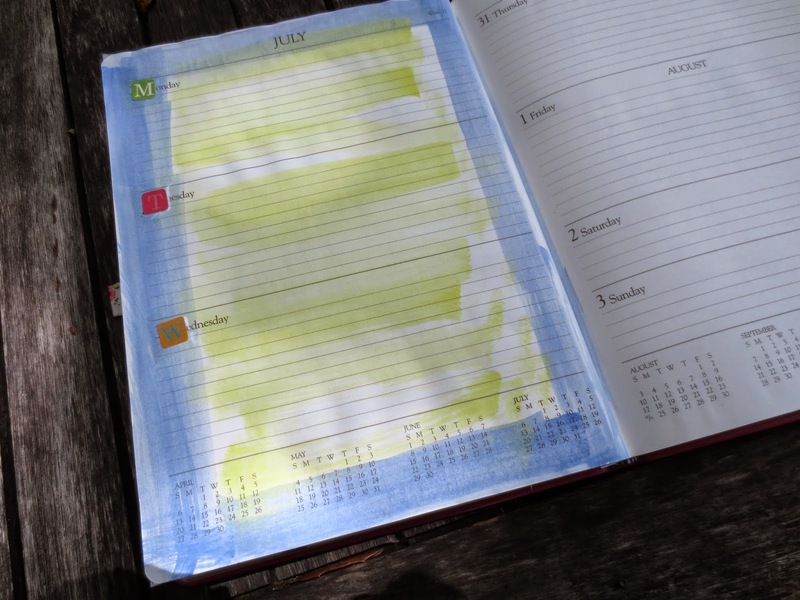 I love that it gets filled up, looks kind of cute, and will be so much more fun to look back on than either a boring datebook, or even my usual verbose journal entries. I'm still allowing room for writing... But since right now I'm writing 50 songs in 90 days, most of my writing is going into that for now anyway. Here are a few more pages for July that I've prepared for adding to along the way. watercolor, magazine cut outs, and washi tape! more of the same... but different! just a little watercolor I'll add to soon with writing, drawing, or whatever! Like I said, these are the humble beginnings. But seriously, I'm so happy with how it's looking. In fact I love it. 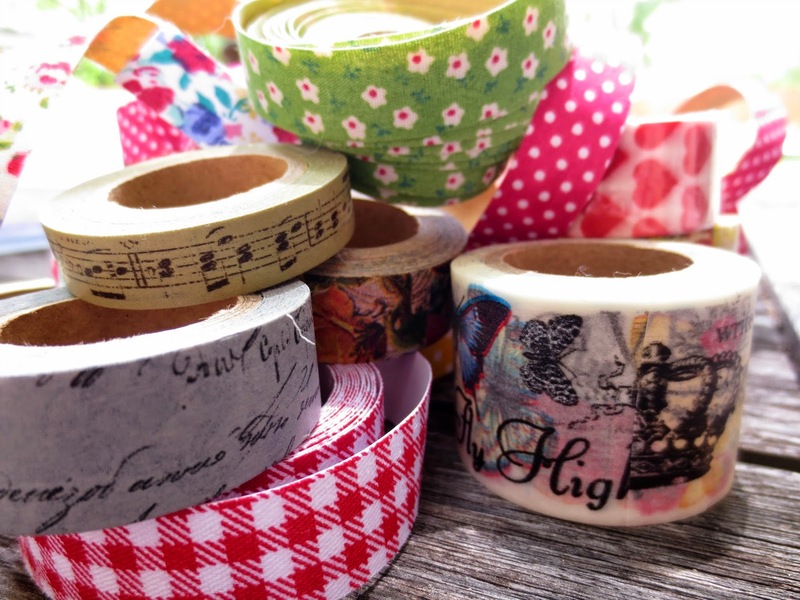 It's even given me a new obsession which is this WASHI TAPE! It comes in so many different cool designs, patterns and colors. I've also been buying fabric tape. This stuff just makes everything look cuter. In truth, because I live in Dallas, I sorta hate July. And August. And at least the first half of September. Oh Dallas, I will never love you for your summertime heat. And it has inspired me to gather up my materials (which I have over the past week, months and honestly, years! 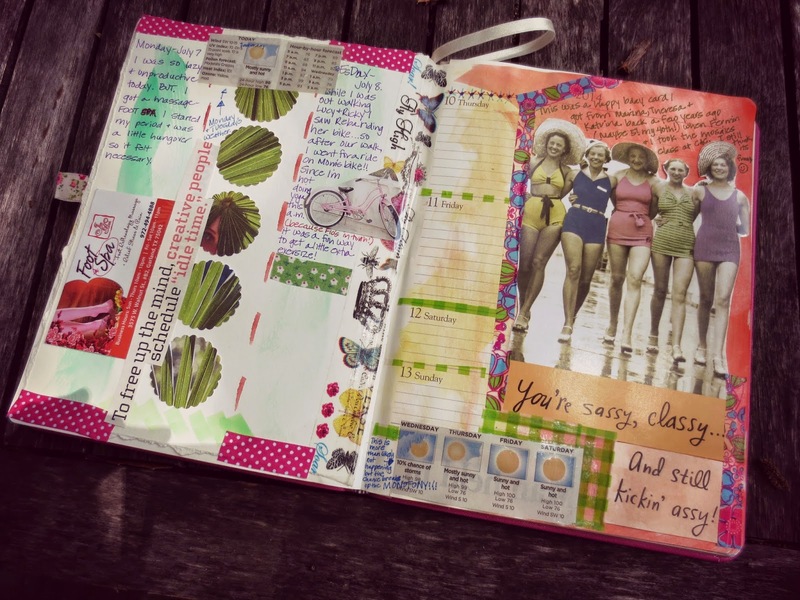 ), stop making excuses and just make the time for an art journal already. And even if it's only 5 minutes a day, that's totally okay! If it's more than that, even better. 2. I am going to write a whole bunch of songs between July 4 and October 1. The online challenge that has motivated me to do this in past years is called "50 songs in 90 days". I'm not sure about 50 songs this time around, and I'm not sure they have to be all brand new songs, but there will be lots of songwriting most days of each week during the next 3 months. I might chose to edit and finish something I've previously started, or it might be hot off the press. I'm not really making firm rules this time around. I just want to participate in the process and know that in 90 days, when it's finally starting to cool off, and when the Fall days are just around the corner, I will have created some songs that didn't exist in the universe before. That's all. Other than that, no firm rules. I'm doing this not only to reframe how I think of a long, hot summer, but I'm hoping I will learn new things-- even some things about myself, and come out of this feeling like I've really accomplished something cool. So here goes! IT'S ON!